We’re getting super close to the time on In His Steps where I’ll have to send the movie off to someone else to work on, and I’ll be left with nothing to do for a time. Oh sure, there’s behind the scenes and promotional stuff to work on, but it’s not the same. The actual movie making phase is winding down. And while it’s exciting to see a project I’ve been working on for nearly seven years finally be finished, I’m already starting to get impatient. I mean, it’s been two months already since I was last on set! I really want to be on set again. I could be a grip, and I’d be happy. I love being on set! It was 2008. We had just announced that we were suspending production on In His Steps indefinitely. I was pretty disheartened. I’d even say depressed. Why would God block us from completing something I was so certain He had led us to start? Why even bother continuing? Why not just get a “real” job and forget this silly filmmaking nonsense? Don’t you just love 20/20 hindsight? Turns out I needed some training. I needed maturing. I needed experience. Yeah, I’d never been on a real movie set before, and really was not prepared in the slightest to direct a feature film. Thankfully, God used the cancelling (really, the postponing!) of In His Steps to bring producer/director Norton Rodriguez into my life. 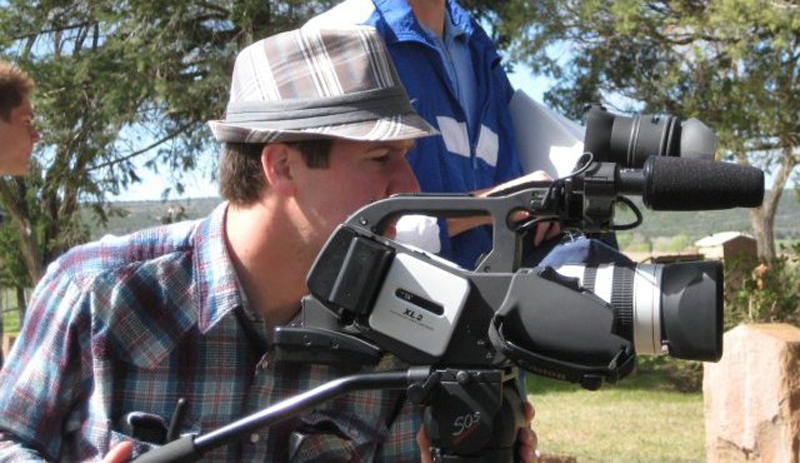 When he agreed to teach at our Rocky Mountain Christian Filmmakers Camp, it not only revived my passion for filmmaking, it also led to the training of nearly three dozen other people in the craft of Christian filmmaking! I’m sure there’s a lesson there about God’s perfect timing, and how He can use circumstances to glorify Himself and bless others. And wouldn’t you know it, In His Steps is getting made after all. But the other cool thing is that since then, I’ve been able to work on at least two movies a year! Hmm? Only one movie this year?! Well, no wonder I’m feeling restless! I’ve got a record to keep up! That’s okay, there’s still a few months left in the year, right? You could come down to AZ in Nov. and join us for our 2 short films!